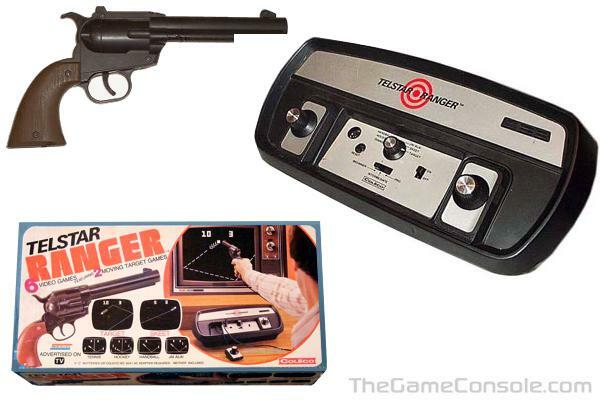 The 2nd Telstar model to be released in 1977 was the Telstar Ranger (model 6046). It came with 6 games, two paddle controllers and a gun. The games included were the standard PONG games which the AY-3-8500 was programmed for i.e. Tennis, Squash, Soccer, Practice and two gun games. This was the first Telstar released to have a completely different design from the original. It was also the first to include detachable controllers.